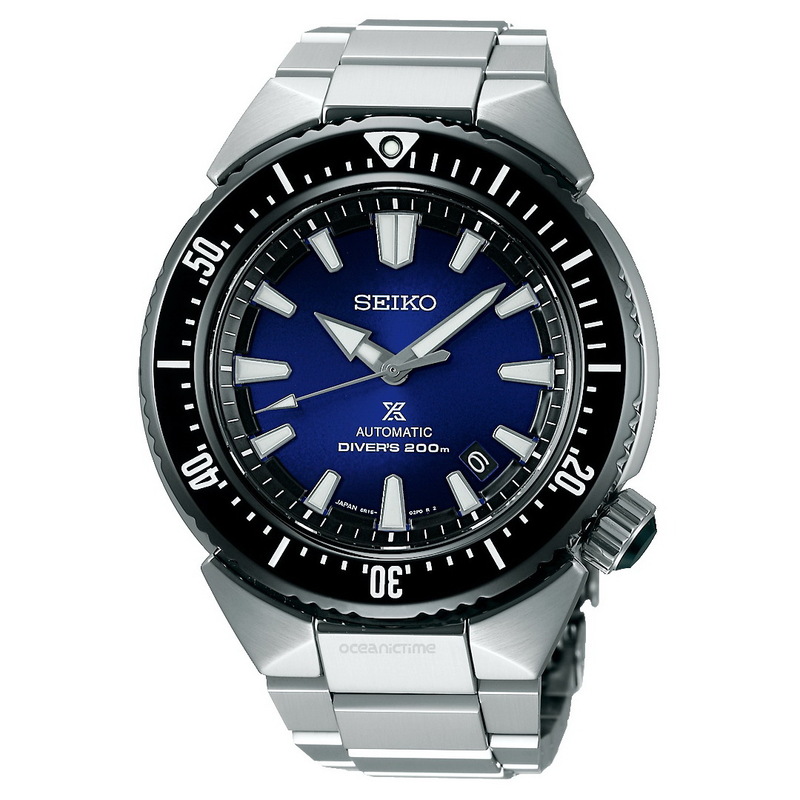 This lovely looking diver is the new Seiko Prospex Diver Automatic Risingwave Ref. 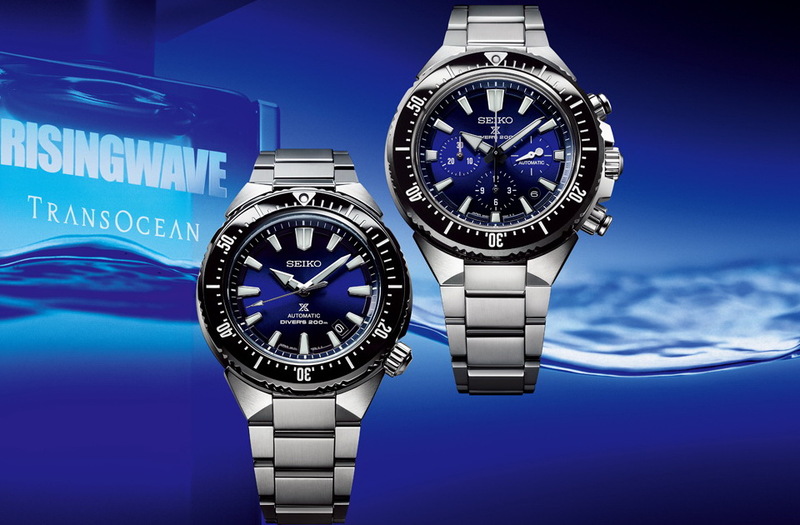 SBDC047, one of two collaboration models with Rising Wave, an aromatic aquatic fragrance for men by Christian Riese Lassen made for the Japanese domestic market. Despite the perfume collaboration, both these watches are proper dive watches with really nice specifications. This one retails for 130,000¥ exe. VAT, the equivalent of 1,295USD. Its case is made from Stainless steel that has a Dia-Shield coating. This is similar to Citizen’s Dura-Tec so it’s really tough and scratch-resistant. It is fitted with: a screwdown crown and caseback, a Sapphire crystal with anti-reflective coating on its inside and a unidirectional rotational divers bezel with a ceramic inlay. 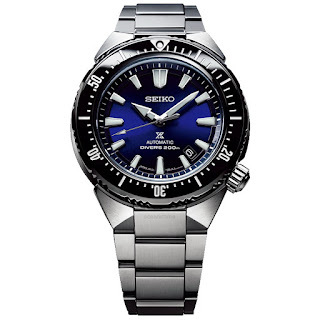 Further divers features include: anti-magnetic, 200m of water-resistance, so that it is suitable for scuba diving and a full Dia-Shield coated steel bracelet with a double-locking divers clasp with push button release and divers extension. Dimensions of the case are as follows: 45mm x 13.8mm x 45.5mm lug-to-lug. 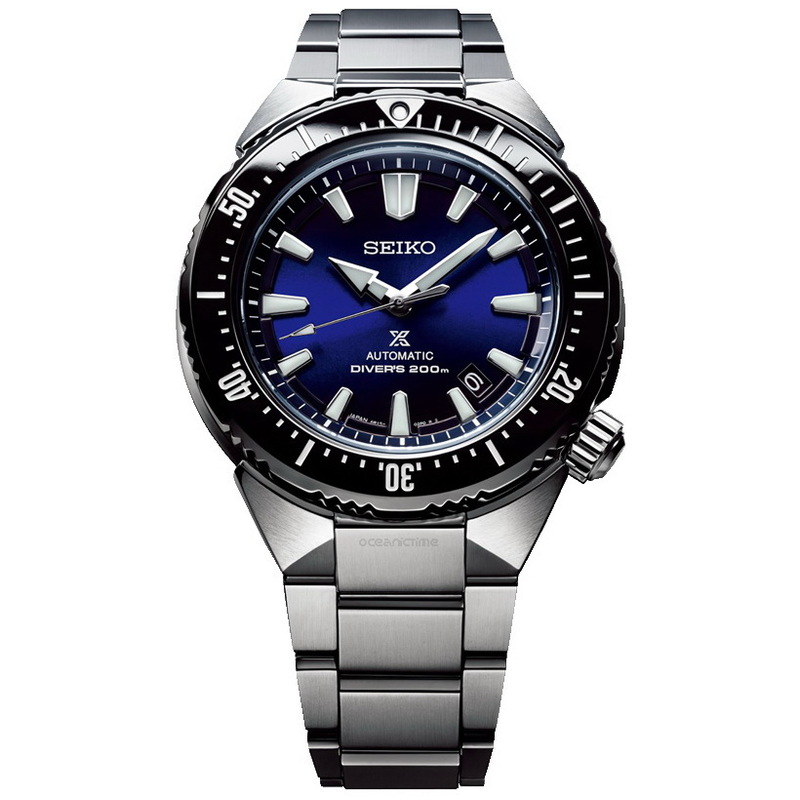 Its dial is in a beautiful deep blue that gradually darkens outwards and is fitted with Seiko LumiBrite applied hands and markers. 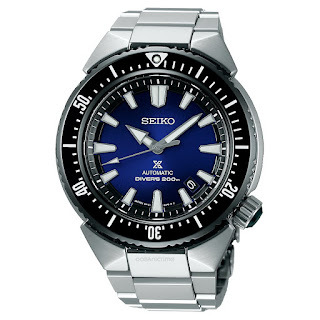 Power comes from a Japanese Seiko in-house caliber 6R15 with 23 jewels and an accuracy of -15 to +25 seconds per day. Its functions include: a stop second hand function and central sweep-seconds.